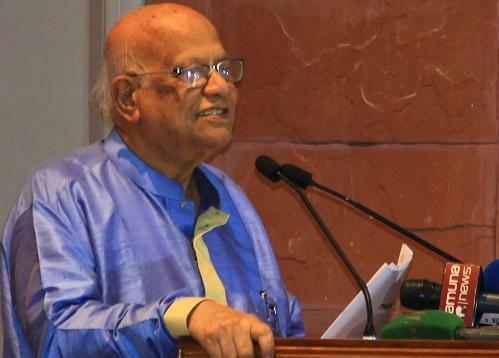 Bangladesh has achieved a momentum in its initiatives for poverty eradication and in a very short period the magnitude of poverty will come down, says Finance Minister Mr. AMA Muhith. Once a dreaded term, ‘Monga’ no longer exists in the country, thanks to various government and non-government successful initiatives like PRIME, he said while speaking as the chief guest at the closing ceremony of “Programmed Initiatives for Monga Eradication (PRIME)”, an extreme poor graduation programme implemented by Palli Karma-Sahayak Foundation (PKSF), on 30 November 2016. 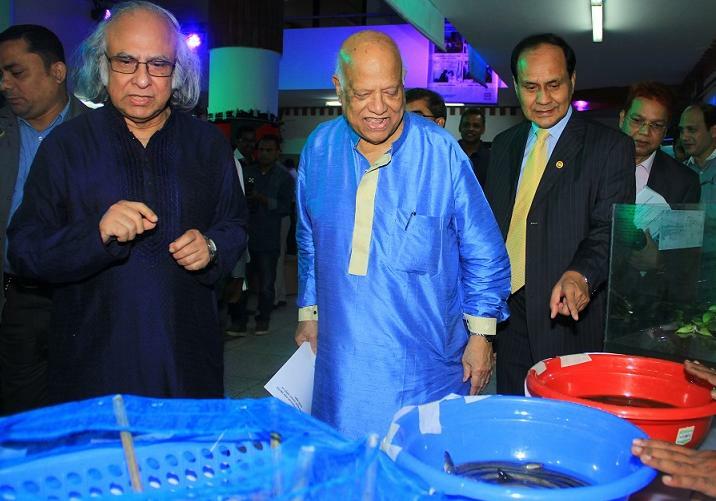 “Today, we say goodbye to Monga, once and for all” Mr. Muhith said, to cheerful applause inside the PKSF Auditorium packed with an audience of over 300 people. PRIME was initiated in 2006 with the objective to confront Monga, a Bengali term referring to the yearly cyclical phenomenon of poverty and hunger due to seasonal joblessness in the north-western region of Bangladesh. The region used to experience acute hunger and income depletion during the pre-harvest months of October to December. The phenomenon led to fewer available job opportunities for rural workers, resulting in their becoming migrants and moving to towns. Those who could not migrate would face malnutrition and starvation. PRIME interventions covered a whopping 5.12 lac extremely poor households in 50 upazilas of 11 highly poverty-affected districts located in the greater northern and south-western regions of the country. Special Guest Mr. Mahbub Ahmed, Senior Secretary, Finance Division, Ministry of Finance, hailed the PRIME success and urged PKSF to work in other sectors of disaster-related shocks that plague the people of Bangladesh. “We have achieved 7.11 percent economic growth this year and targeted 7.2 percent for the next year. We want to take the growth rate higher and for that, we want to switch from factor-based growth rate approach to skills and innovation-based growth approaches … So, PKSF should also focus on improving skills of the people through its projects. “I believe the Government will continue to support PKSF in such initiatives in future,” the Senior Secretary added. PKSF Chairman Dr. Qazi Kholiquzzaman Ahmad chaired the closing ceremony attended by, among others, Government officials, representatives of donor agencies including DFID Bangladesh, PKSF’s Board Members, officials of PKSF and CEOs/representatives of PKSF’s Partner Organisations (POs). 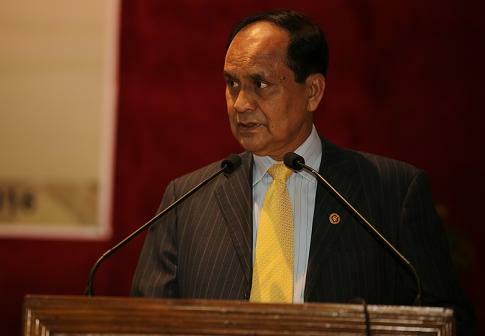 The primary focus of PRIME was to create wage-employment and self-employment opportunities to ensure sustainable income for the people of the Monga-affected region throughout the year, he said. Later in a presentation, PKSF Deputy Managing Director (Administration) Dr. Md. 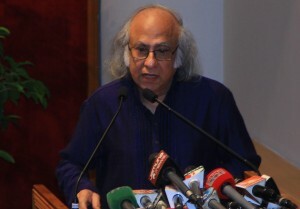 Jashim Uddin boasted that PRIME’s success in effectively confronting Monga is unique. “The average monetary value of the assets of the PRIME households has increased from Tk. 62,000 in 2008 to Tk 2,11,000 in 2016 – a 242 percent rise within a period of just eight years,” said Dr. Md. Jashim Uddin who led the implementation of the programme from the forefront. Besides, the programme also made interventions in the salinity-hit southern region of the country by installing desalination plants and providing other tools for ensuring accessibility to safe drinking water and income generating activities for the extreme poor, Dr. Md. Jashim Uddin added. Prof. Dr. MA Baqui Khalily, former executive director of the ÔInstitute for Inclusive Finance and Development (InM)Õ, gave another presentation on the impact assessment of PRIME, which showed how visibly ahead the programme was in comparison with other initiatives of its kind. 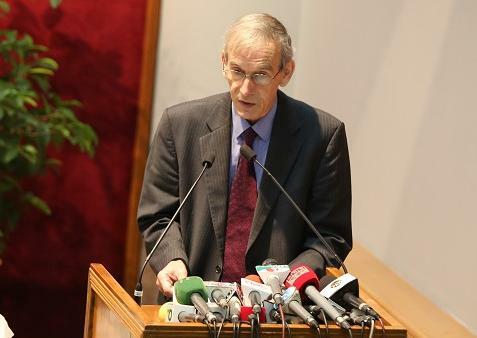 A number of surveys were conducted to assess the Programme’s impact and most of the PRIME participants had developed to cope with the adverse impacts of any natural disasters, he said. 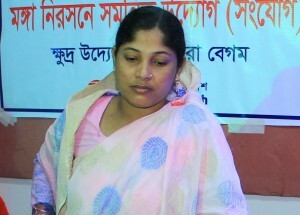 However, by diversifying economic activities to off-farm from on-farm in those areas and providing a complete package of financial and non-financial services, PRIME has succeeded in graduating people of those regions from poverty in a sustainable way and Monga was no longer in place, observed Prof. Baqui Khalily. Reaching over 5 lac extremely poor households and helping them out of poverty is “a fantastic achievement”, he commented. Market orientation, adaptive implementation and diversification played the most crucial role in PRIME’s success, Mr. Thompson said. “Being an adaptive and market-driven extreme poverty alleviation programme is the key behind PRIME’s success. And, technical support and market linkage activities strengthened the impacts of income generating activity promotion. 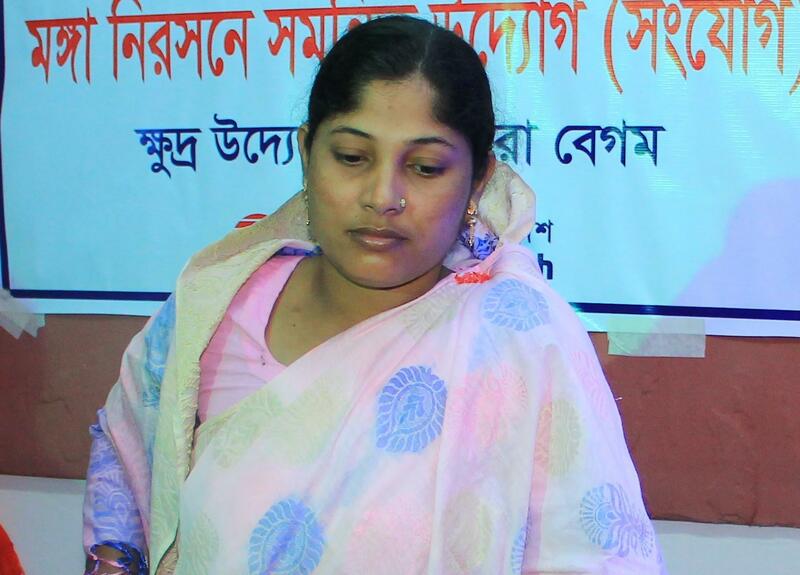 “There was a time when I wouldn’t know in the morning whether I would be able to find something to eat for supper or would have to go to bed with an empty stomach,” Zahira Begum, who had come all the way from Nilphamari to Dhaka to attend the programme, said as she was describing how PRIME changed her life. Amid such gruelling hardship, she was listed as a PRIME participant in 2006 and received training on making mats. After a 45-day training, she was provided with the mat-making equipment and a loan of Tk. 8,000. “From that moment onwards, I never had to look back. Now I have 75 women employees directly working for me. I also have trained at least 175 others on making mats so that they too can create employment opportunities for themselves and for others,” said a proud Zahira, with the joy of success radiating in her face. Similar accounts of achievements were narrated by some other PRIME participants during a session styled “Voices from Grassroots”. Once a hunger-stricken rickshaw-van puller, Saheb Jamal from Gaibandha described how production of vermi-compost has pulled him out of abject poverty. Over the years, he has been able to buy 20 decimals of land, take lease of another 33 decimals, send his three well-fed children to school and make plans to perform Hajj with the money earned from selling vermi-compost. “But thanks to PRIME’s help, I now grow 32 types of vegetables. I also have 16 different fruit trees, 28 species of medicinal plants and I grow four types of spices. “We are happy now … very happy … and it’s mainly because of PKSF’s help,” said an emotional Anima, leaving the audience in awe. The Chair Dr. Kholiquzzaman Ahmad said that though PRIME has come to an end, it would remain under close monitoring of PKSF so that the benefits gained by programme participants may be sustained in the long run. Earlier on the day, an exciting display of PRIME activities like mat-making, embroidery, production of bamboo and cane crafts, vermi-compost, crab and eel fish farming etc. took place at the venue.